Apple has submitted a patent that shines a light on how future displays will behave. This patent introduces a way to ensure privacy on portable devices by making the contents of the screen invisible to anyone who’s not vertically looking at the device. Systems and methods for electronically controlling the viewing angle of a display using liquid crystal optical elements are provided. Each liquid crystal optical element may be associated with a respective scattering module and may selectively steer a device generated light beam to one of two or more scattering regions of its associated scattering module. The patent also includes details on how the feature might be implemented. As shown in the picture above, there could be an option to change the viewing angle and maybe turning off “privacy mode” completely, giving users flexibility on how they’d like to use this feature, if at all. That said, I doubt we’ll see fine-grain control, if any at all: having to manually control a feature of the display would be quite a hassle for most users who probably wouldn’t even understand it. What we’ll probably see will be a System Preferences item with some controls most users will likely not need to touch. Work on “privacy-friendly” displays, and even successful products, have been around for quite a few years, yet most of them are filters that are applied over the screen, and aren’t software-controllable, and certainly less efficient since they’re not built into the display. It’s important to note that Apple files patents almost everyday, and most of them never make it into a product, at least in their original form. Last year, a patent was released that showed the Mac maker had been working on an iMac with a multi-touch display. Yet, subsequent iMac models didn’t have that feature, and there are no reports of anything similar being in the works. 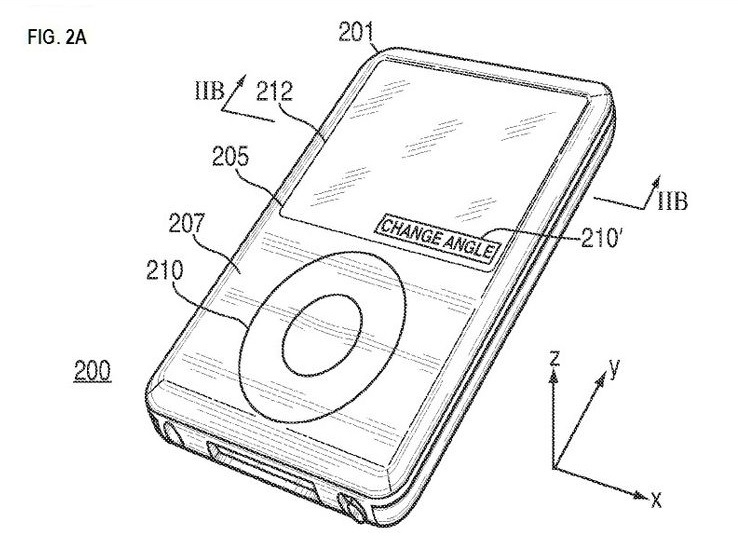 However, some have indeed come to fruition, like the design patents for the iPhone and the iPod touch.